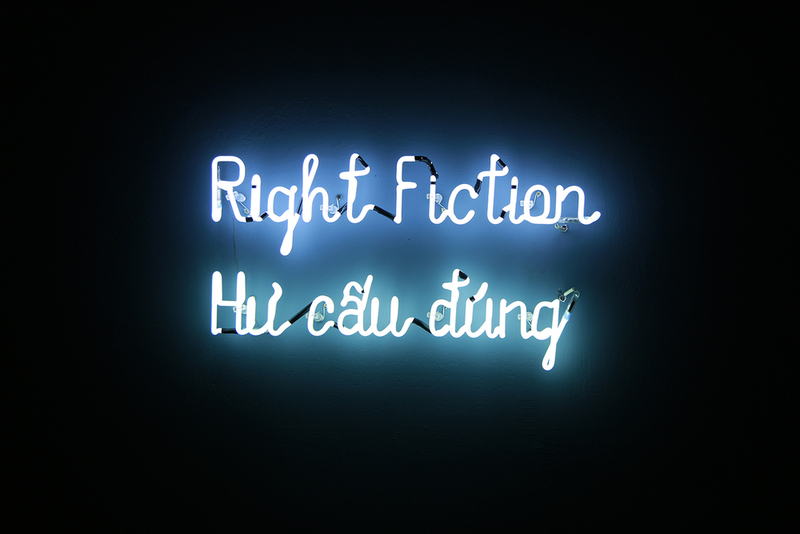 This artwork is a joint piece by two artists Ngoc Nau and Phan Thao Nguyen for ‘Right Fiction’ – a duo exhibition where the audience is led through a maze of fiction and non-fiction. These artists mingle scientific knowledge and assumed fact into imaginative and experimental storytelling. However, each of them constructs their narrative differently: Ngọc Nâu uses fictionality – the process of fabricating fact in order to distract our acceptance of reality and thus our perception of the sciences; whereas Thảo Nguyên utilizes fictional, near dream-like tales to distance herself from historic assumptions.